RBTH talks to representatives of offshore businesses at an international investment forum. 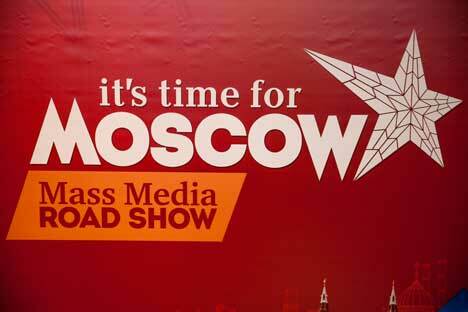 Participants at an investment media forum 'It's time for Moscow' held at the city's International Trade Center say Russia's economic crisis brings opportunities, despite the challenging financial climate. The key focus of the event, December 8-10, was how the Russian capital could continue to attract foreign investment at a time of economic and geopolitical turbulence. Moscow remains one of the largest world markets, Sergey Cheremin, head of Moscow's Department for Foreign Economic and International Relations, told the forum. Natural drivers of growth, such as infrastructure objects, still attract foreign companies, he said. Alexis Rozianko, president of the American Chamber of Commerce in Russia, told RBTH that the situation today, compared with 2014, was more stable, although the investment climate itself had not changed fundamentally during the past year. Russia still needed time and effort to improve its attractiveness to foreign investors, but those willing to put money into projects in the country had grown used to the situation, he noted. “I would say people just got used to it. It is a fact that big companies did not leave Russia." Thomas Kerhuel, commercial director at the Franco-Russian Chamber of Commerce (CCIFR), said French investors remained keen on Russia. By volume, French investment in Russia was in second place in the first quarter of 2015 and represented the largest share in the second quarter, he said. “That means there is a tendency to the strengthening of our commercial links; Russia remains a strategic market. Our companies understood that and stayed here." “You shouldn’t run a business in Russia because of tax advantages, you should be in Russia because together with countries of its customs union, there are 48 million consumers here,” Jeroen Ketting, founder and CEO of The Lighthouse Group said. Investors need to have a long-term strategy, taking into account how the market in Russia has changed and matured over the past 20 years, he added. Russia was no longer a country where you could come to a business exposition and leave with a suitcase of orders, he said. Now you needed a long-term strategy and clear understanding of what will ensure your business works, Ketting added.